Connect Contact Form 7 to virtually any external service, no code required! 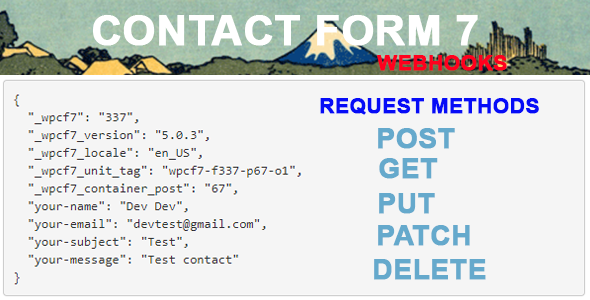 The Webhooks add-on for Contact Form 7 helps you send form data to an external API. Easily pass information such as form submissions to the 3rd-party service of your choice. Configure custom request headers and configure only the data you want to pass to the Webhook.